Cranston Public Library is excited to announce the release of its new BingeBox collection at the Central Library. 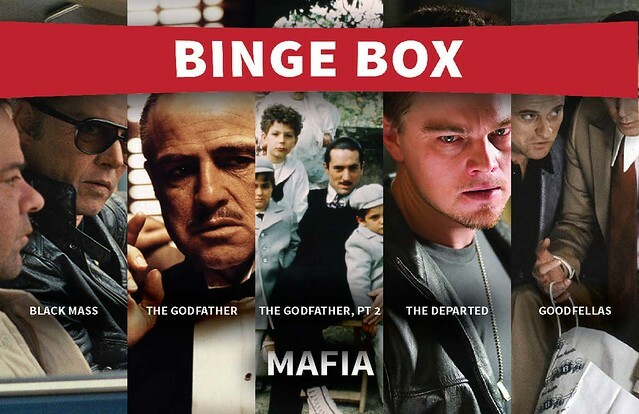 Each BingeBox contains 4+ DVDs and can be borrowed for up to 3 weeks—perfect for when you can't get enough of your favorite series, genre, or actor/actress. Stop by the Central Library and find your perfect BingeBox today! BingeBoxes cannot be renewed and carry an overdue fine of $1/day. BingeBoxes must be returned to the Central Library, and cannot be requested or put on hold.